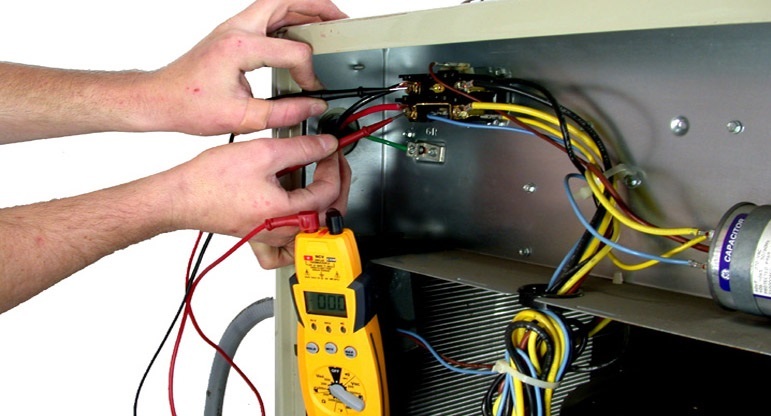 The price that you pay for a new system installation or a repair to be done on your existing unit can vary. Depending on the unit you have as well as the company you contact, rates can vary significantly. It important to speak with the AC contractor about any budget you may have as well as services you need ahead of time so you are not surprised with a bill larger than expected when the work is finished. Parts can be expensive, so make sure your technician covers everything with you before they begin any work. They may come out and look at the problem. From there, they can provide you with a more accurate estimation of how much it is going to cost to repair. If the system needs to be replaced, they can give you an idea of how much this is going to cost as well. To have a better idea of what to do, not only should they give you all the information, but they need to let you know if you have more than one option on how to handle the repair and if there is a way to save any money on the repair. If you have questions regarding the process, the price, the options and anything else, you should ask them during this time. Getting the quote in writing is always recommended. You need to have something to fall back on if they decide to change the price later. You want to also have something that provides you with documentation if something goes wrong. Every professional company however, will use a contract and stick with it. Once the quote that they give you is in writing, you can stick with this amount. If nothing in the quote says that they can change it as they please, you shouldn’t have a problem. They may also give you a contract with a “swinging” price. This is a range in prices based off what type of work they think may need to be done. If the technician begins the work and finds that there is more work necessary than originally thought, this is something they will go over with you before proceeding to make sure you want to have it completed. If the price is too high, see if they can work out a payment plan with you to complete the work and let you pay for it a little at a time. Most companies will expect payment in full upon completion of the work, but there are some who will work with you. Before you decide on any services, you need to speak with them regarding the prices of each type of service. This is because it is important to know if you will be able to afford to have the service provided. When you know the prices beforehand, you can then decide whether you want to hire them or have them do the work. Speak with an AC contractor regarding the work that they can do. They provide efficient Energy Star certified products, so you can end up saving money in the long run. This is what everyone wants when it comes to cooling or heating their homes throughout the year. Allow a professional to come out and help with all things AC related.